I love being onboard a cruise liner! I remember my family's first Caribbean cruise on Carnival Sensation with delight, and the impression that it left on me. As we approached the Port of Tampa my eyes lit up when I saw the gigantic cruise ship sitting in the port! What I remember feeling was: "I cannot believe we're going on that thing!" We had never been near a cruise liner and only saw pictures or videos of cruise ships, so the reality of going aboard the ship took some time to sink in. Well, off we went. We parked our Ford minivan and joined the line to check in. 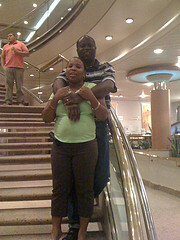 It was soon time to board the Carnival Sensation. I remember looking with disbelief at how beautiful the main floor or reception area was! Wow! It was just like visiting a luxurious hotel! We had entered what is generally called the "Atrium". This is the general welcome area containing the purser's desk (guest relations or customer service), an area to book shore excursions, padded seating for relaxation, an area for a small band, and beautiful decorations. What's A Cruise Liner Like? The ceiling of the atrium generally extends several decks up and there is a beautifully carved glass-plated stairway going up from the main floor and continuing down to at least one lower floor. There is also a glass-covered elevator that runs from the atrium or a floor below up to higher decks. Since our first cruise, my family has looked forward to getting inside the reception area or Atrium of "our" new cruise ship to see what it offers. We have never been disappointed. The atrium is simply a great architectural feat in ship-building! In addition to the main area, the cruise ship is designed in such a way and with every amenity well-planned to cater to your cruising family's comfort, enjoyment and cravings. So what is it like on a cruise liner? Let us take a look. 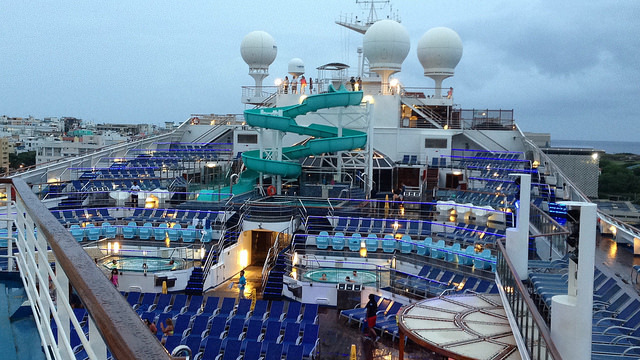 Generally, a cruise ship may have 9 decks or as many as 18, which is comparable in height to a 9 or 18 story building. The lowest decks are generally reserved for the crew, which number into the 100's. The decks above the crew members' quarters are divided into cabins and fun hangouts or service areas. Some decks are solely cabins, some only fun hangouts/service areas and others are split between the two - cabins and cruise ship hangouts or service areas. Inside Cabins - Your cruise ship cabin is built to accommodate the number of people in it. There are different sizes of cabins and different forms of accommodations. A simple inside cabin (no window to outside) has bunk beds, which suit the children, or two twin beds. Depending on how many people are in the cabin, you may have one pair of bunks and a twin bed or two pairs of bunk beds. If there are only 2 people in a cabin, the twin beds can be pulled together to make a queen size bed. Ocean View Cabins (Outside) - In addition to inside cabins, you have ocean view or outside cabins onboard the cruise ship. You will generally find the same bed arrangement in an ocean view cabin, but the space is often more and this type of room costs a little more per person. There are instances where you can also get two adjoining oceanview cabins for your family with a convenient door that opens on the inside to each room. Balcony Cabins - Some higher decks carry what are balcony cabins. As suggested, these rooms have an oceanview and a verandah to step outside and enjoy the scenery. Cabins with balconies cost more than regular ocean view cabins and inside staterooms. Suites - As in any luxury hotel, you will find suites on your cruise ship. Suites are the largest and nicest form of accommodation. There are not very many suites and their rates top the other cabins, sometimes by as much as 100 percent of the inside cabin. Note: Some cruise liners have cabins that can hold as many as five (5) people, but generally there are few of these. If your family contains 5 people and you want everyone in one cabin in order to save on the cruise ticket price, then you should book your cruise very early. Each cruise liner has several areas around the ship where you can just sit and relax. Lounges are generally inside, are spacious and are decked out with padded seats. You and your "honey" can have a nice quiet moment in any of these. In addition to lounges, there are other quiet areas onboard where you can sit and relax. For those who would love to order from the bar, there is usually one connected to each lounge. Yes, there are several dining areas onboard. Yippee! 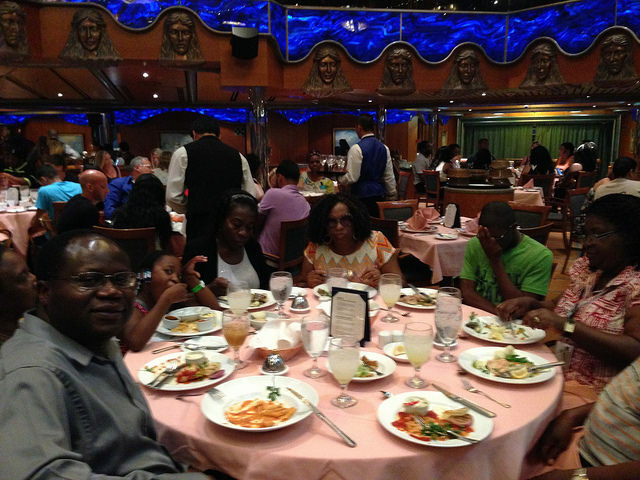 While there are main dining rooms (with most cruise lines you are assigned a specific time and table for meals in the main dining rooms), the cruise ship has several smaller restaurants, if you will, tucked away in different sections onboard the cruise ship. Although you are assigned to one of two or more dining rooms, you may elect to eat your meals at the main buffet area - called the "Lido Deck" on Carnival ships - or at one of the specialty restaurants. Throughout the day, you will find meals served in several places, but you may choose to have dinner at a specialty restaurant - if you do not want to eat in the main dining room or in the general buffet meal area. Caution: Specialty restaurants require an additional charge. Are you a reader? Do you want to try your hands at a quiet game of cards? You will find a card room and a library onboard your cruise liner. I know you're on vacation, sailing on a Carnival cruise ship to the Caribbean. But somehow, you must check your emails. Generally, internet connectivity and charges at sea are different from home. Note: You may check with your internet provider for a special plan to cover your Caribbean cruise, but this may not cover usage while at sea. If your internet usage onboard the cruise ship will be minimal, you may use the ship's Internet Cafe. Caution: Internet usage is pricey! Oh, no! So you thought you had the toothpaste! What about your trunks? Unfortunately, you left both. Do not worry. You will get to brush your teeth and swim in the pool or at the beach at one of the ports of call. Yes, the cruise liner has a convenience store where you can get such items and more. Caution: Expect to pay more than you would at home. There are several provisions made onboard for your entertainment and to ensure that you have a good time. 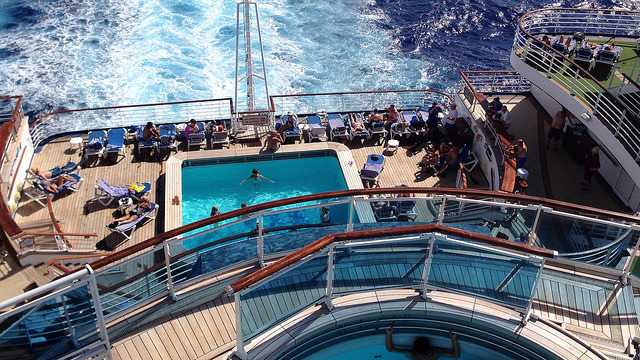 You will generally find two or three pools onboard the cruise ship plus hot tubs for your soothing. There are beach chairs and towels in abundance, so you may spend all day in the water or lounging on a chair. Next to each pool area you will find a bar or eatery to cater to your cravings. So, you have not been to Las Vegas! Your cruise liner will bring it to you. Each night, there is a Las Vegas or Broadway style show that is put on for your enjoyment in what is usually a beautiful theater. It is large and the seats are comfortable, but there are 100's of guests onboard. There are usually two shows on the agenda each evening, but hurry, or you will be left standing. Do you prefer to sit back with with arms wrapped around each other and watch a movie? You may do that onboard some cruise liners. 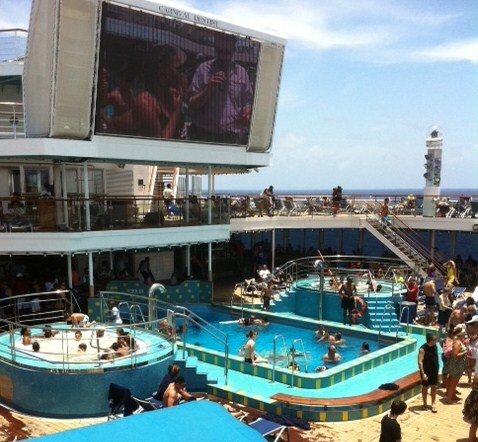 Some ships have giant television screens on the open deck as well as a lounge where movies are shown. If you are a movie-lover and look forward to watching movies on board, check with your travel agent or the cruise line to find out if your ship has the giant television screen. Note also that you may watch movies on the television in your cabin, but some movies come with a price. Disney Cruise Line offers complimentary movies for your stateroom. The lounges that are used as resting areas or presentations during the day, come alive at night with a variety of entertainment: family comedy, adult comedy, karaoke, family games, couple games, etc. Your family will find something fun to do. Do not worry about what will happen to the children. Bring them on your family Caribbean cruise. Each cruise line makes special provisions for the kids (such as Camp Carnival - professional and trained counselors take care of your children. The kids have their own rooms where they are guided in fun activities. They have game rooms and even their own pools. 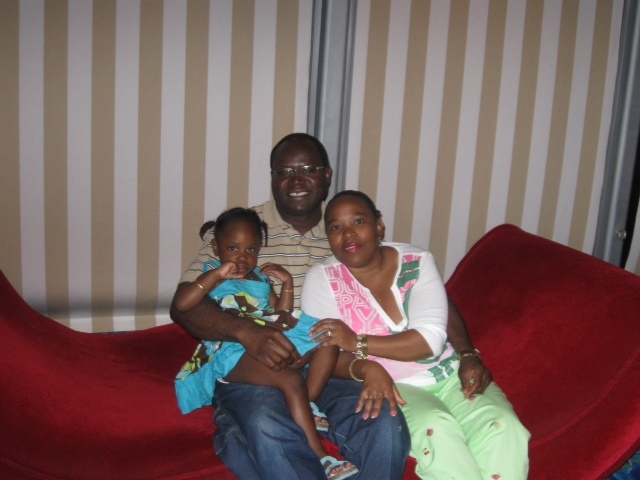 Your children will be taken care of so that you and yours may spend some quality time together. Of course you will get your children at some point and spend time with them too. Right? While the younger children have their own areas, teenagers are treated to activities that they will love. 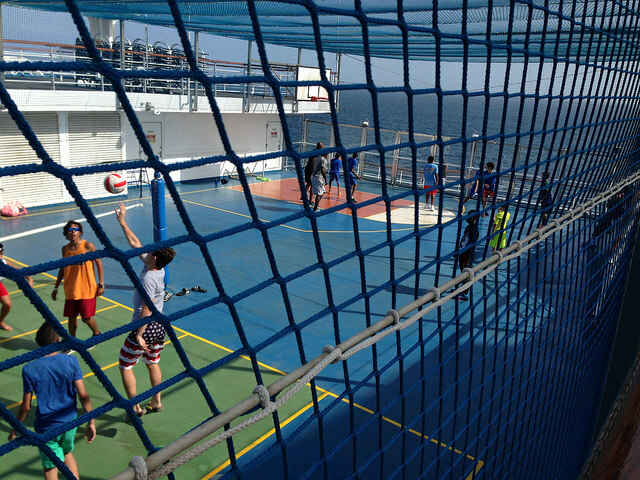 There is usually a teens' only room, a disco, games room, basketball courts, table tennis equipment, mini-golf course, rock climbing (on some cruise liners), etc. Your teens will find something to do. Ah, yes! I knew you would love it. What kind of luxury hotel would this ship be without provisions for exercise? You can choose to work out whenever you like - based on the fitness center's opening hours. You will find that it is open for most of the day, so you should not have a problem finding a time to visit. Can you feel those gentle, soothing and healing hands? Yes, your cruise liner has a sweetly accommodating spa treatment center for your craving. Caution - Spa treatments are not included in your cruise package, so you will pay extra for these. If you have an itch to shop, you can do that onboard your cruise ship. Cruise liners generally have boutiques and you will find many sought after items from the Caribbean islands duty free. That's right. You pay no duty on items like wines, cigars, etc. I know you have heard of casinos onboard cruise liners and you just wondered when I would mention it. Yes, you will find a big enough casino onboard each cruise ship, decked with a variety of machines. Caution - Many have been known to lose a lot in cruise ship casinos. There seems to be so much more that I can add, but I will stop here. Before your family sets sail on their all inclusive Caribbean cruise, find out what your cruise liner offers. Newer and bigger cruise liners offer a lot more than older and smaller ones. Ships like Royal Caribbean's Oasis of the Seas, the Norwegian Epic, the Carnival Dream or the Disney Dream offer more pools, more creative ideas like water parks or theme parks, and roller coasters and leave you saying - WOW! - all the way home. However, whether you sail on one of the newest ships or not, each cruise ship makes adequate provision for the comfort, enjoyment and entertainment of your family. We recently sailed on the Carnival Destiny, which was the largest cruise ship in 1996, but now falls far behind other cruise liners. Yet, we thought it was a delightful vessel. 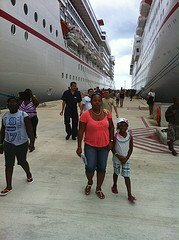 You will have a great inclusive family Caribbean cruise - regardless of the cruise ship you choose! 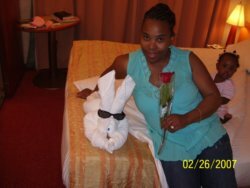 Check out our Carnival Paradise Cruise experience - July 2012. Ready to sail? Bon voyage!